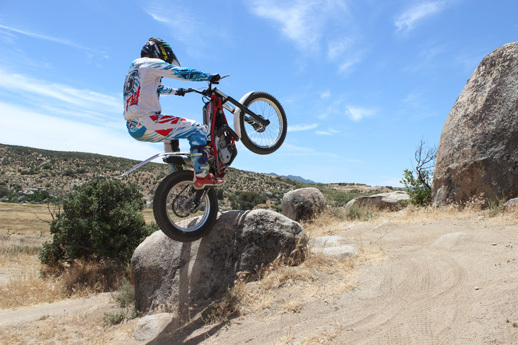 MotoVentures offers Moto-trials riding at least twice a month at our Southern California Training Center, usually on Fridays and Sundays. If you want another date than we offer or we seem to be busy with another service, please call us anyway because we may be available afterall. January 11 & 27, February 8 & 17, March 1 & 24, April 12 & 28, May 3 & 19, June 7 & 23, July 5 & 21, August 2 & 25, September 6 & 22, October 4 & 27, November 1 & 24, December 6 & 22. MotoVentures is proud to announce we are Gas Gas’s Official West Coast Training Center. 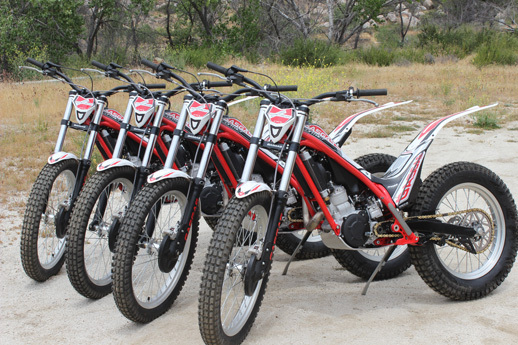 That means MotoVentures will be using late-model Gas Gas trials bikes exclusively. It doesn’t get any better than this: Now our customers can ride the latest state-of-the-art trials bikes, get the most practical trials riding instruction, and do it at one of the best trials riding locations in the country! 2018 Gas Gas Trials Bikes Have Arrived! 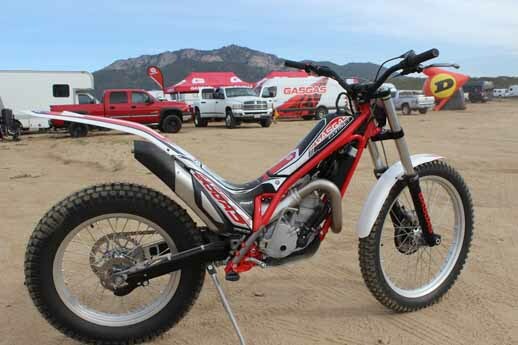 MotoVentures has just replaced our 2017 Gas Gas Contact trials bikes with ELECTRIC START 2018 Contacts AND we have added one 250 Racing model AND one 80 Racing model! We now have the following Gas Gas trials bikes for you to try: 80 Racing, 125 School, 125 Racing, 250 Contacts, 280 Contacts, 250 Racing, and 300 GP. The affordable Contact model ($5,800) comes with 250cc or 280cc engines and feature a larger gas take for longer rides, a removable seat for riding sitting down, and for 2018 electric starting too! Now that we have the 80 and 125 trials bikes we can accommodate kids, women, teens who range in height from 4-10 to 5-5. Save Money AND Ride for Free! Ride trials with us and SAVE $275 on the purchase of a new Gas Gas trials bike! 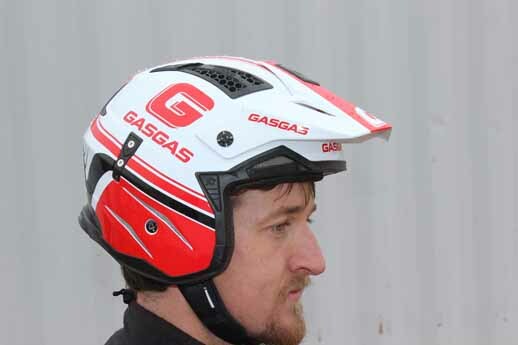 Purchase a New Gas Gas trials bike and get FREE Training with us! If you’re thinking about buying a trials bike consider doing this if you want the best deal around: Come ride trials with us for a day and you will go home with a coupon redeemable for $275 on the purchase of a new bike at any GG dealer nationwide. Go to your local Gas Gas dealer and purchase a new bike and he will give you a coupon redeemable at MotoVentures for a free day of training (a $275 value) on that new bike within one year of the purchase!! We have our own private 350-acre Moto-Trials riding paradise at our Rider Training Center, conveniently-located near Anza, CA., in sunny Southern California where we also teach our off-road, dirt bike, dual sport, and motocross curriculums. Our land has so much great trials riding terrain that the Southern California Trials Association now holds club events here every year. In fact, we are now the permanent annual host for the famous El Trial de Espana annual (49th) event and the occasional AMA Trials Nationals too. So, when you come to ride trials with MotoVentures you will be riding on sections with many different lines that are already cleared and maybe even still marked so you can experience what it’s like to ride a real trials (competition) section. 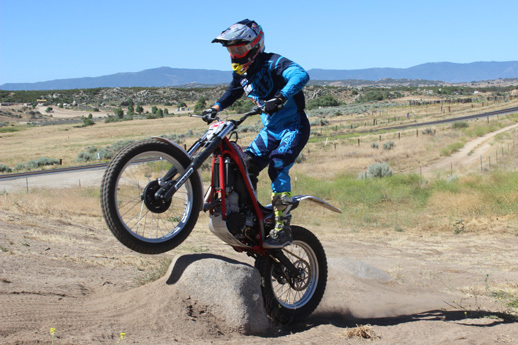 If you’re an off-road rider, dual sport rider, desert rider, or motocross racer, and you’re looking for a fun new challenge or some great cross training, it’s time to try motorcycle trials riding (now called Moto-Trials) with MotoVentures. Have you ever wanted to try trials, but couldn’t locate a trials bike? Maybe you know someone with a trials bike, but you don’t know exactly how you should ride it or where you can ride it. Get ready because MotoVentures has everything you need; late-model Gas Gas trials bikes, specialized trials riding gear, expert instruction, and a trials riding paradise for the best possible Moto-Trials riding experience you can have. Just like today’s motocross bikes, trials bikes are purpose-built, no-frills, competition machines, which are becoming even more specialized as time goes on. That means they’re really FUN to ride. Trials bikes are designed for a specific purpose (sport); to carry its rider through a marked section of difficult obstacles. A trials competitor must, while under observation, keep from going out of bounds, putting their feet down for balance or falling down, or receive penalty points if they do. At the end of the day, the rider with the least penalty points wins. Moto-Trials is extreme off-road riding at its best and a popular, well-respected international motor-sport, but many people just enjoy play riding on trials bikes. It’s a fact that you can learn maximum control techniques on a trials bike that will help you become a better motorcycle rider. Motorcycle racers use trials for cross-training, while experienced riders are always amazed at how their skills have improved. Have you noticed how many of the top AMA Endurocross racers are ex-trials champions? If you’re looking for a formula for success in motorcycle competition it would be to start at a young age on a dirt bike with proper training, then learn and practice trials techniques, then learn and practice the techniques needed for your chosen speed sport; motocross, flat track, Endurocross, off-road, road racing, etc. Maybe Moto-Trials is just what you need to give you the advantage you’ve been looking for. So regardless of your desire for challenges or thrills, Moto-Trials is a great motorcycle sport or recreational activity to add to your list of motorcycling must dos. 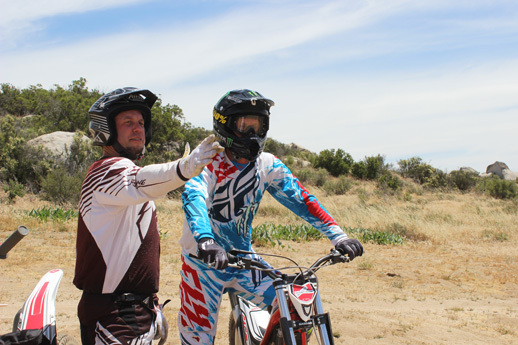 When riding trials with MotoVentures, you will get the patient instructions needed to get started riding trials the correct way and you will be part of a group of six riders or less per instructor. Your training will come from a well-qualified trials expert like Gary or Andre LaPlante with decades of trials competition experience and over 20 years of trials training experience. For advanced and above riders, we occasionally offer Pro Clinics where we hire top professional riders like Geoff Aaron who can teach and demonstrate any trials riding technique you want. 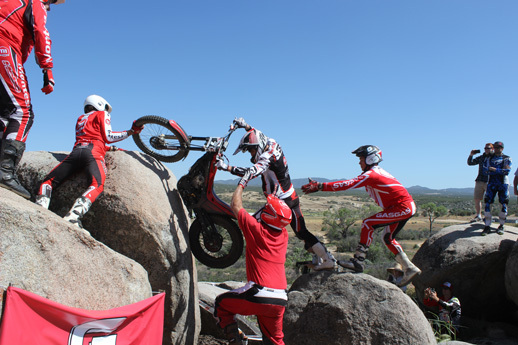 Our Moto-Trials riding experts know what newcomers to trials are capable of doing. We can teach you how with step-by-step instruction that will gradually push your comfort level higher, allowing you to really explore your limits and ride more confidently than you’ve ever ridden before. We’ll ride together all day from one practice section to another teaching, demonstrating, and practicing the key techniques that trials riders take for granted. By the day’s end, you’ll be amazed at how easily you rode through gnarly terrain that would have been impossible to ride on any other bike, and you will come away with a greater appreciation of Moto-Trials for recreation and competition. When you ride with MotoVentures you can bring your own riding gear or use our riding gear. You can use off-road riding gear, but it was designed for high speed riding and often overly padded and restrictive for trials riding. 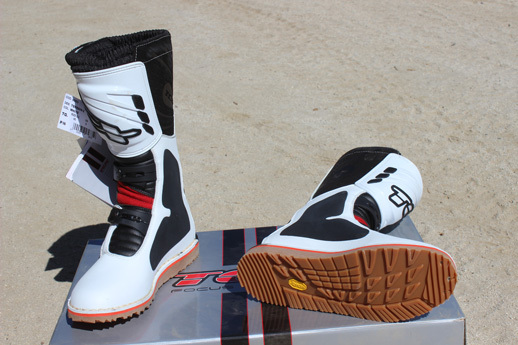 Motorcycle trials boots are light, flexible and designed for walking and riding, while trials helmets are light, vented, and have an open face for easy breathing. Both reflect the relatively low speed requirements of this specialized sport. Two items to consider borrowing from us (at no extra cost) are a pair of TCX trials boots and a good open face Hebo trials helmet. We have Hebo trials helmets and TCX trials boots in all sizes. Our new Gas Gas fleet. 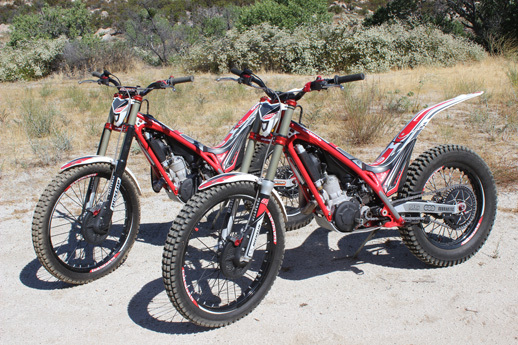 Our new 125 and 300 Racing trials bikes look almost the same. El Trial de Espana. This is what happens when you don’t make it! Check out our TCX boots and Hebo helmets for our students to wear.